The 112F Drilled Port Oxygen Burners are ideal when cold spots or multi-burner assemblies cannot be tolerated. 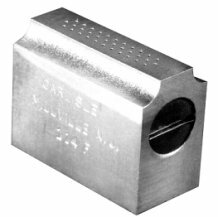 The 112F Series has a staggered 3 row drilled port pattern giving the burner the ability to maintain a uniform flame regardless of flame length. The 112F Burners can be manufactured from either brass or stainless steel. 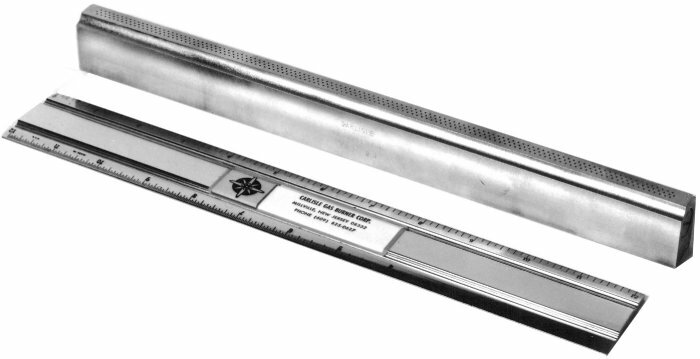 The flame space can be anywhere from 1" to 14". It is important to note that flame space does not reflect the burner's overall length. The inlet is located center-back and is standardly 1/4" FPT. This burner can be used with propane, natural gas, or mixed gases and a mixture of oxygen. This makes the 112F an excellent burner for sealing operations, fire polishing, and forming. Both the stainless steel and brass models are available with the water cooling option. This option helps to keep the burner cool for operator safety, and also helps to combat burner degradation from extreme temperature environments.